A room with a view of the Mediterranean, Le Negresco, Nice (photo: Claes Bech-Poulsen). 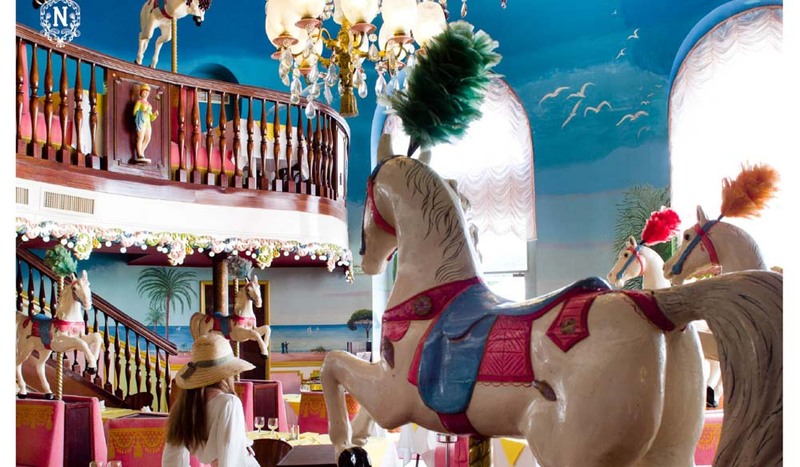 Antiques from an 18th-century fairground adorn the whimsical La Rotonde Brasserie, Le Negresco, Nice (photo: Grégoire Gardette). Le Negresco is all about vintage luxury, Le Negresco, Nice (photo: Christophe Bielsa). Le Negresco, a grand old Belle Époque hotel, is the perfect venue for a girls’ weekend in Nice, finds Louise Reynolds. Moments after entering our room, my friend and I exchange a look before bursting into fits of excited giggles. We survey the space, taking in the black lacquer beds with their embroidered canopies, the strawberry pink walls embossed with roses and the view of azure waters filling the window. It’s like being in a palace. Perhaps the French Riviera’s most famous hotel, Le Negresco is packed with enough antiques and artworks in its 124 rooms and suites, hallways and restaurants to fill a museum. The hotel’s signature pink dome has dominated the Promenade des Anglais in Nice for more than a century. Opening in 1913, it was commandeered as a hospital during the First World War and struggled to survive the post-war downturn in Riviera tourism, before it experienced a renaissance when purchased by the Augier family in 1957. 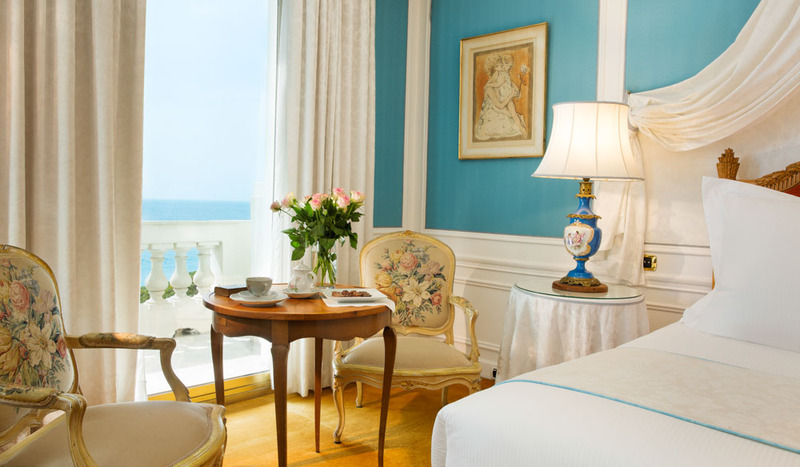 Current owner, and top-floor resident, the nonagenarian Jeanne Augier, set about making Le Negresco the must-be-seen-at destination for royalty, movie stars, artists and musicians in the 1960s and ’70s. The guest list included Monaco’s Prince Rainier III and Grace Kelly, Salvador Dalí and The Beatles. And now here I am on a girls-only Riviera luxury escape with an old friend. A girls’ escape needs food. We head to the wood-panelled bar to enjoy a high tea of smoked salmon and cucumber sandwiches and decadent sweet treats. Our breakfast the next morning is taken in the whimsical La Rotonde Brasserie, which is decorated with the wooden horses of an 18th-century merry-go-round. The renowned two-Michelin starred restaurant Le Chantecler is sadly beyond our budget. Not surprisingly, a stay in this French historic monument doesn’t come cheap – the most expensive suites go for thousands of dollars per night. By committing several months in advance and paying up-front, we secured our entry-level room for around $400 per night. That’s still at the top of the range in Nice, but worth it for what is a splurge of the once-in-a-lifetime variety. Le Negresco won’t suit everyone though. Travellers looking for an ultra-modern, sleek hotel with cloud-like beds and high-tech gadgets should stay elsewhere; stay (and pay) here for the style and the experience, which for us is unforgettable. There are no fits of giggles at check-out, when my friend and I are both genuinely sad to leave. Le Negresco, 37 Promenade des Anglais, Nice, France. 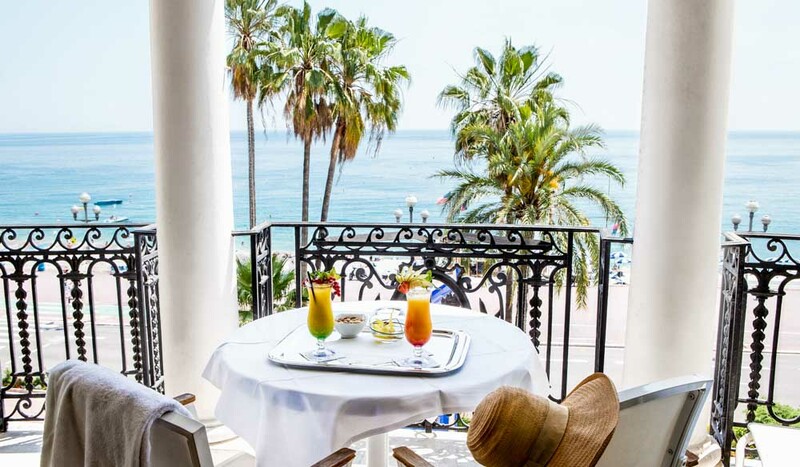 The IT Verdict: A one-of-a-kind Belle Époque treasure at the heart of the French Riviera, it will suit those who are looking for vintage luxury and are happy to pay for it. 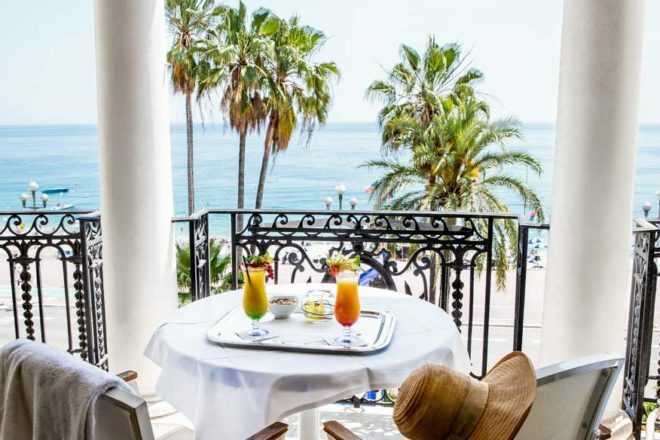 Location: 10 / 10 An unbeatable position on the Promenade des Anglais and close to old Nice. Style / character: 9 / 10 We loved the gaudy, in-your-face décor and furnishings. Service: 10 / 10 Impeccable service from attentive and dedicated staff. Rooms: 8 / 10 Entry-level rooms are compact but character-filled. Food and drink: 9 / 10 From bar snacks to haute cuisine. Value for money: 7 / 10 Classic luxury comes with a high price tag. Book ahead to secure the best rates.